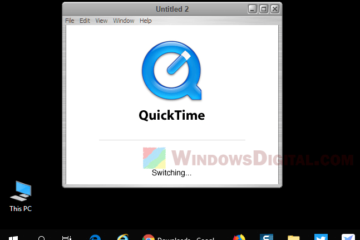 The recent files feature is meant to be a useful feature that allows users to quickly open their recently accessed files from the Quick Access window. It’s especially helpful for people who are forgetful and can’t remember the locations of their files. However, there are a portion of people who don’t like others to know what they do in their computers, just like me, I would rather to have the recent files feature disabled in Windows 10. 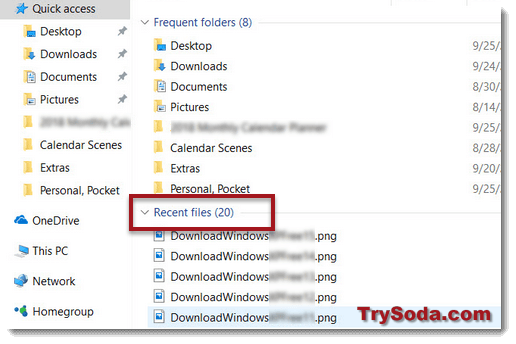 Recent files is a section that shows your recently accessed files which can be viewed in the Quick Access window in File Explorer. It will display up to 20 recently used files and 10 most frequently accessed folders in Quick Access. 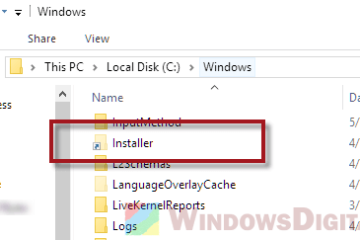 In this guide, we will show you how to clear the recent files history and how to disable it if you prefer Windows 10 to not show you any of it in the future. If you just want to clear the history in recent files so that it starts afresh, here’s how to do it. 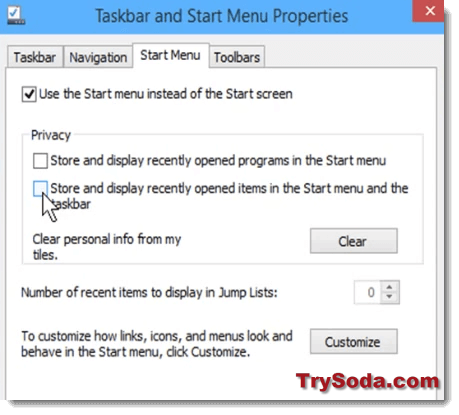 Go to Start Menu, then File Explorer. Go to either This PC or Quick Access directory. At the top menu, Click View. Click Options, then Change folder and search options. Under Privacy, click on the Clear button. Click OK. The recent files history should be cleared now. By clicking the clear button, it will also clear the frequent folders history. If you just want to completely get rid of the recent files feature in Windows 10, here’s how to do it. Go to either Quick Access or This PC directory. Under Privacy, uncheck “Show recently used files in Quick access“. The recent files section should now be gone from the Quick access window. 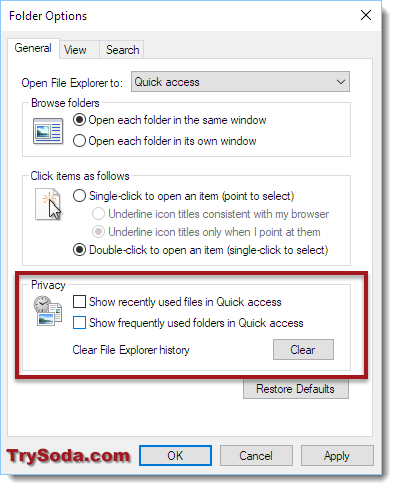 Alternatively, you can also uncheck “Show frequently used folders in Quick access” to also disallow Windows to show the Frequent folders section. If you want to be 100% sure nothing is left in the recent files feature, you can double check it in the following folder. 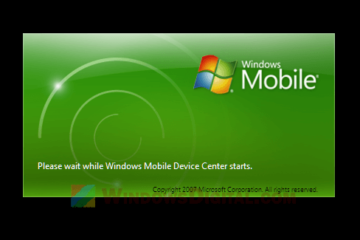 You can access to this directory quickly by going to Start Menu, then Run. Paste the above line into the run field and hit enter. If there is anything else in the folder, remove them as you wish. If you want to turn the recent files feature back on, just follow the steps above again but this time, you tick the checkbox for show recently used files, instead of unchecking them. 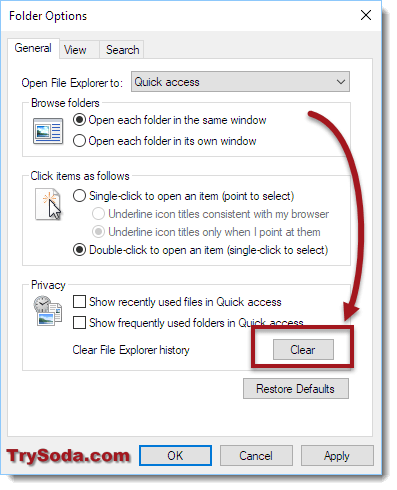 If you can’t find the change folder and search options and happen to have a different Windows 10 interface than ours, try this: Go to Start Menu > Control Panel > Appearance and Personalization > Taskbar and Navigation > Start Menu tab > Under Privacy, uncheck the options for “Store and display recently opened programs in the Start Menu” and “Store and display recently opened items in the Start Menu and taskbar”. This should also do the trick. 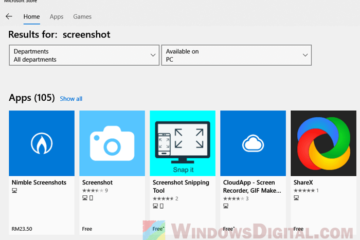 Description for sharing: If you don't want Windows 10 to store and display your recently accessed files in the Quick Access or Start Menu, here's how you can clear the history and completely disable the Recent Files feature in Windows 10.